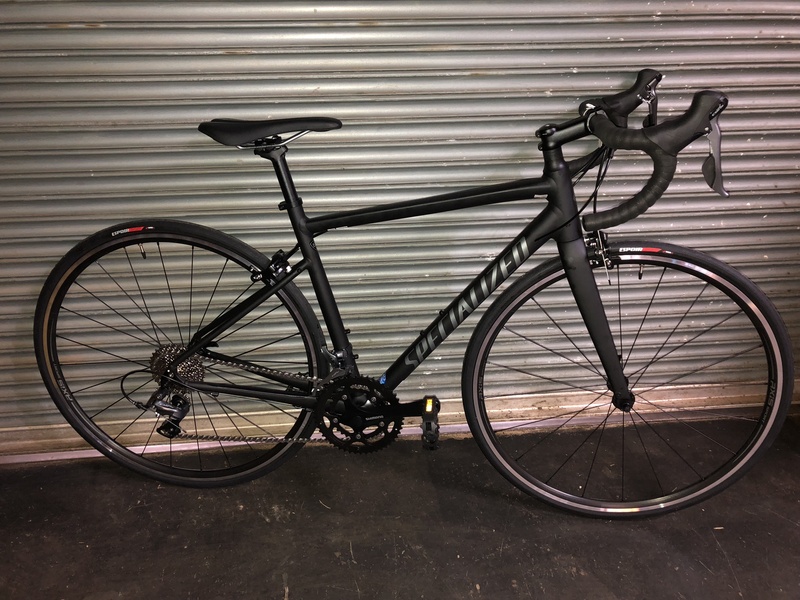 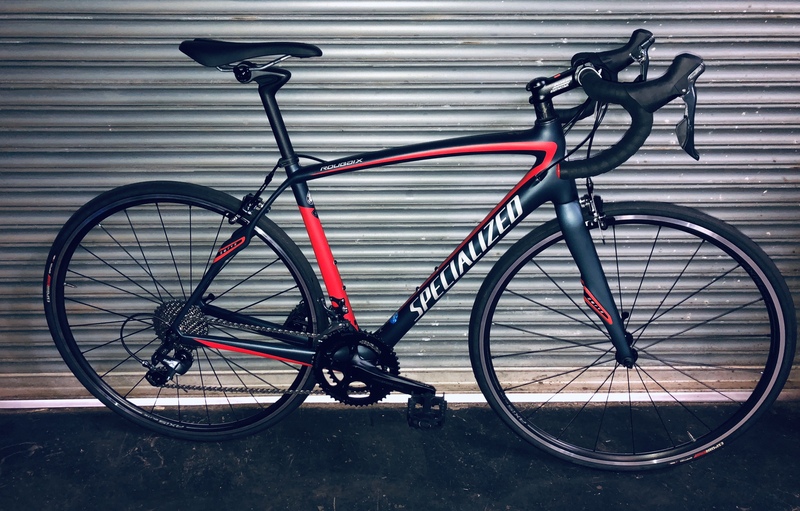 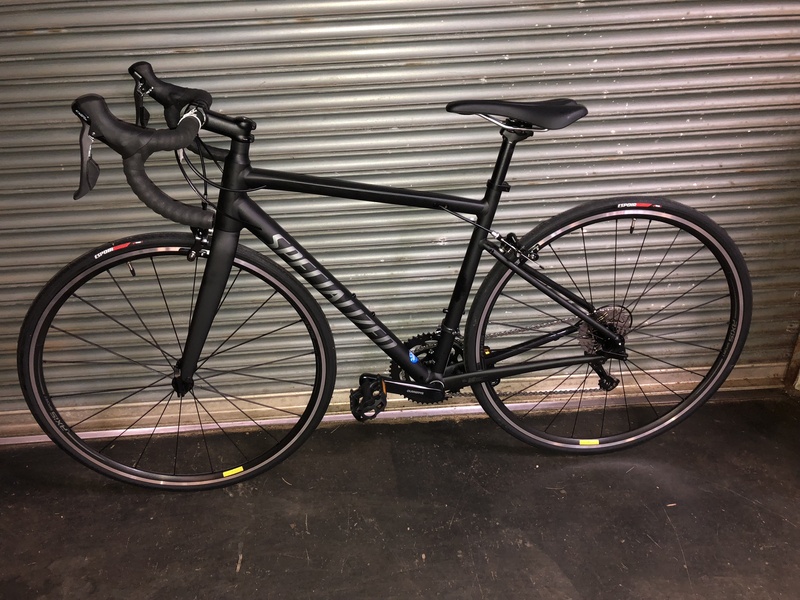 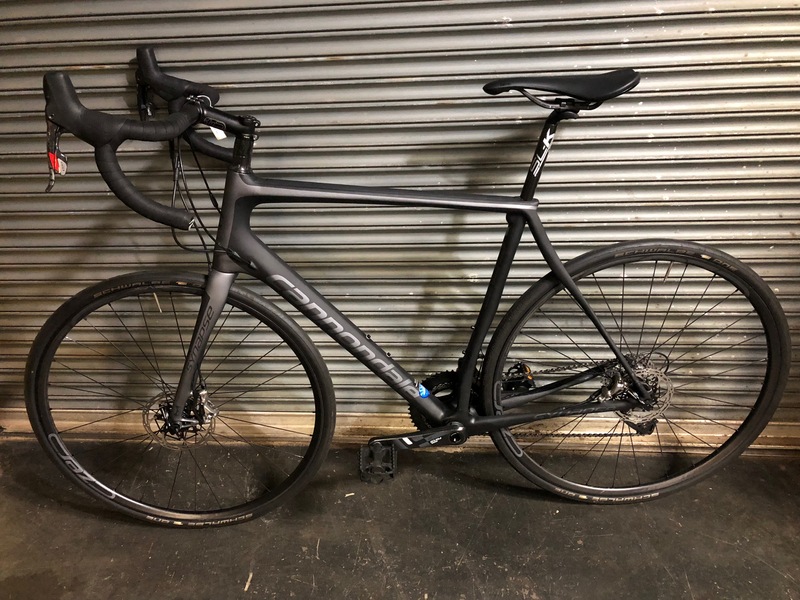 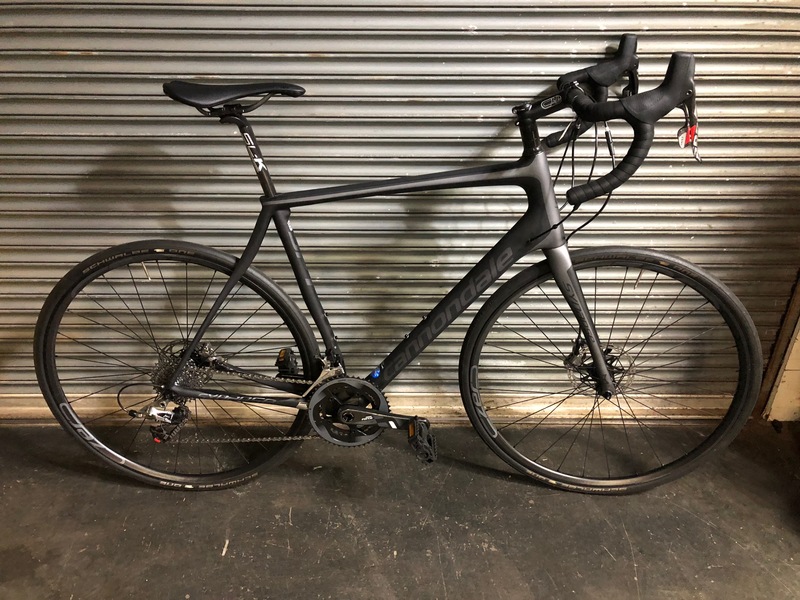 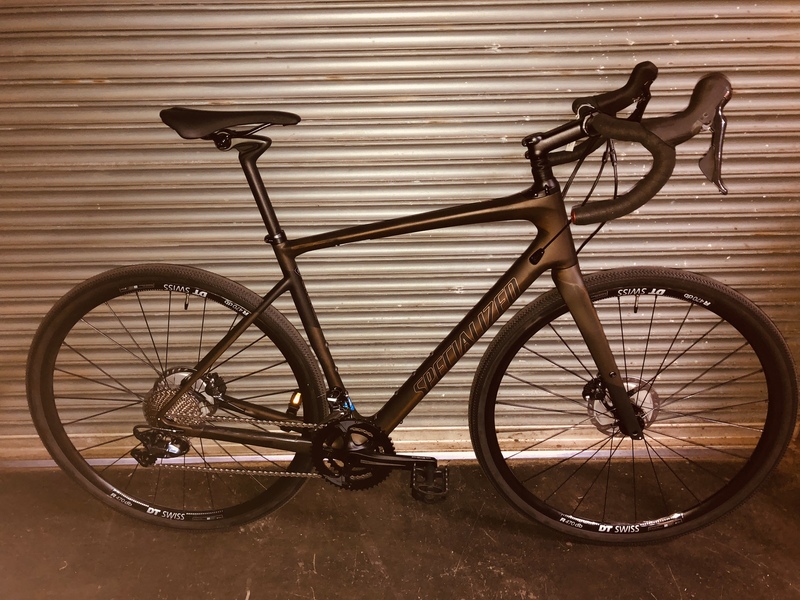 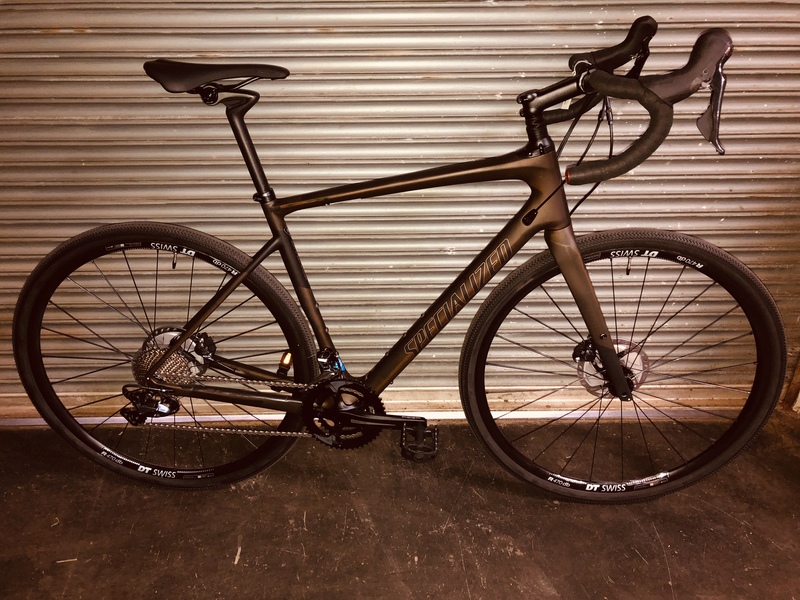 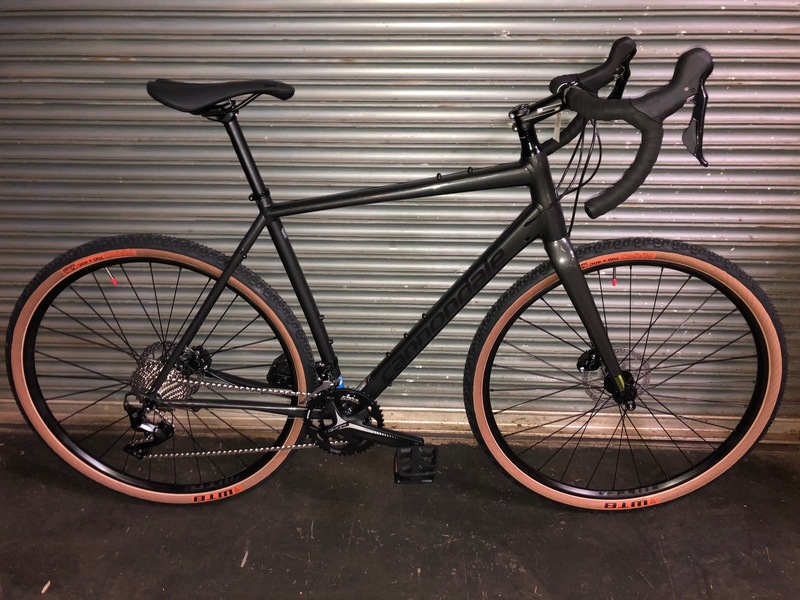 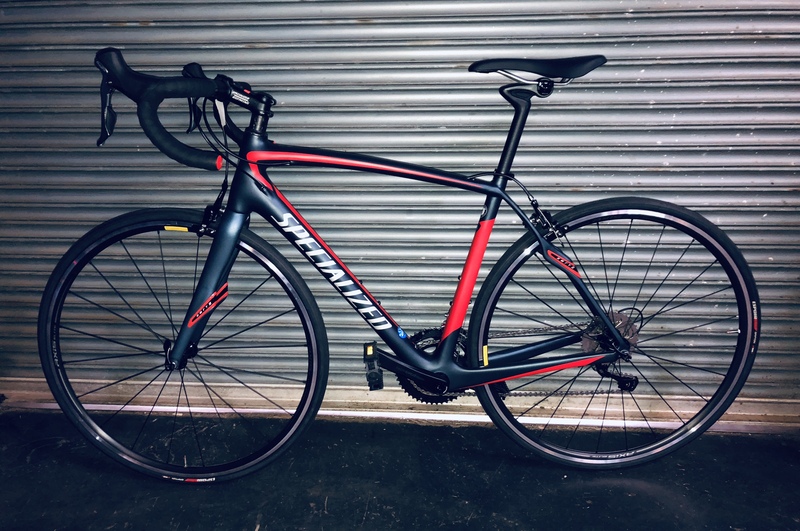 2019 Specialized Diverge Comp Ultegra, 52 cm - Higher Ground Bicycle Co. 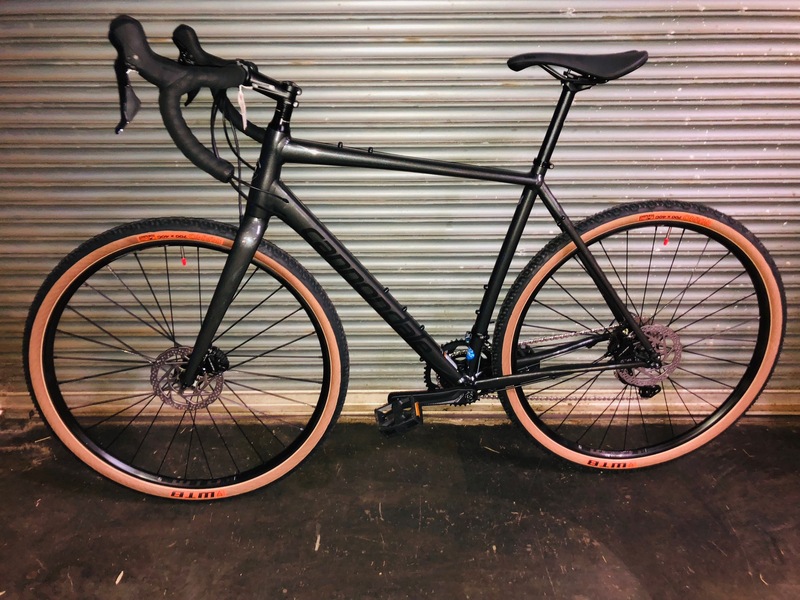 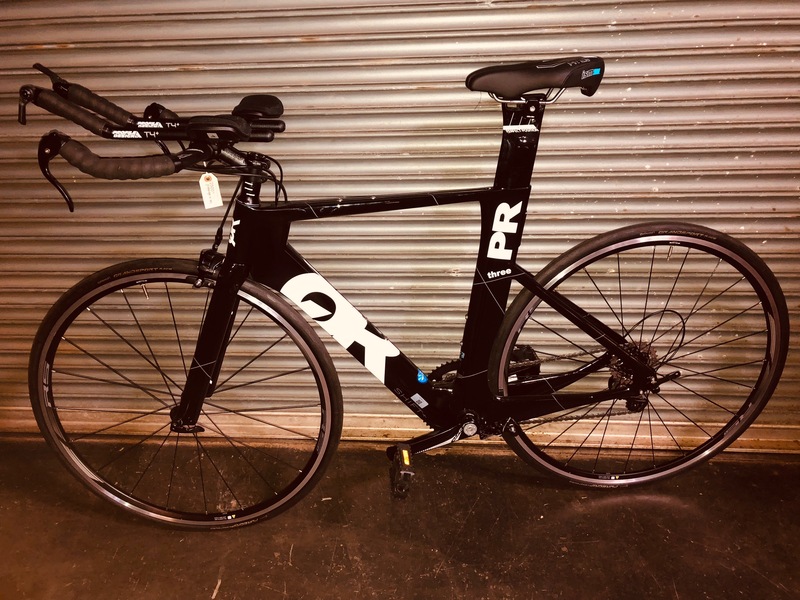 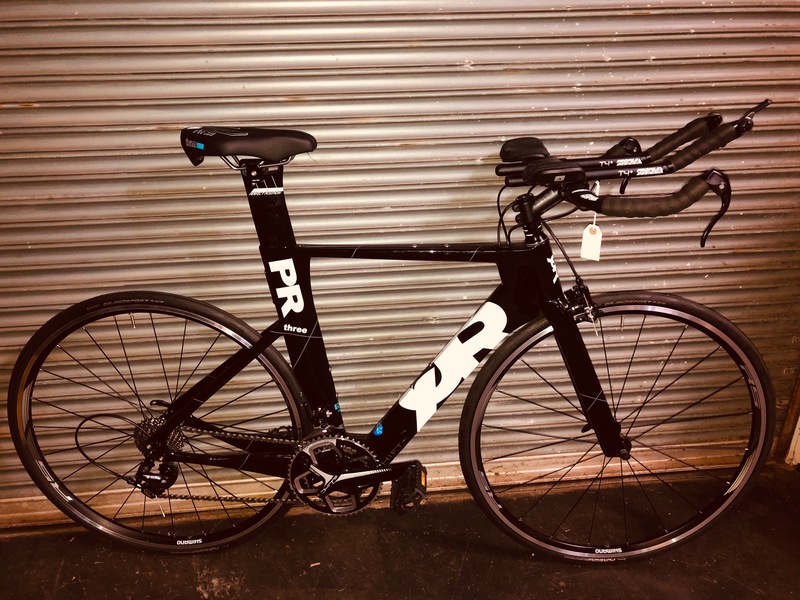 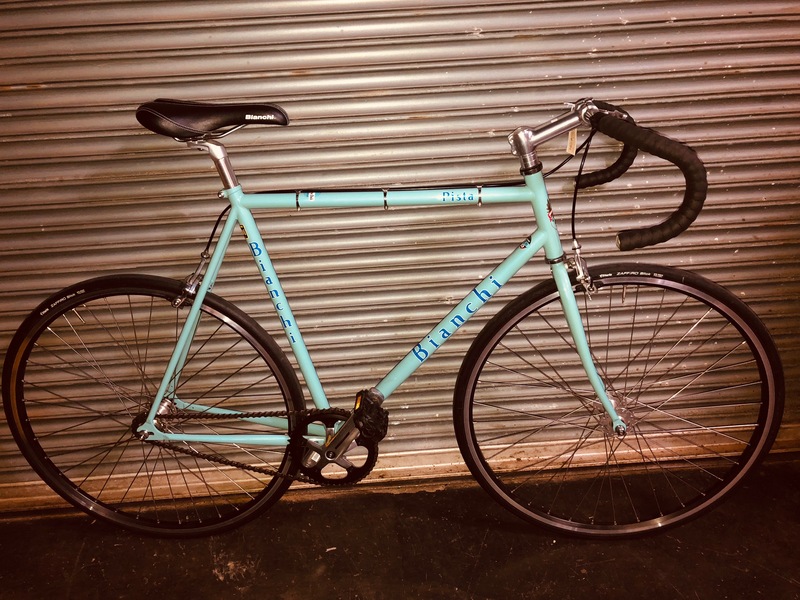 Smooth and subtle graphics on a CAAD frame with several mounting options for all your gravel adventures.Features Shimano 105 components with hydraulic brakes. 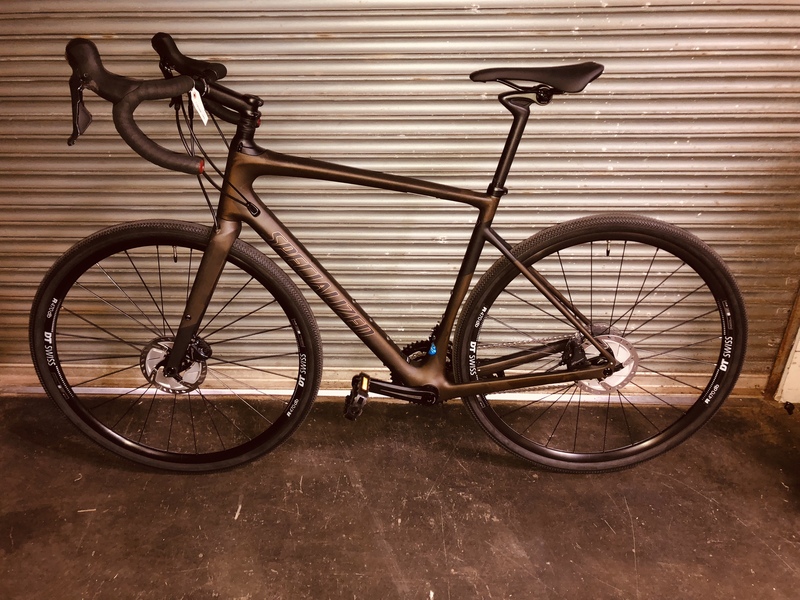 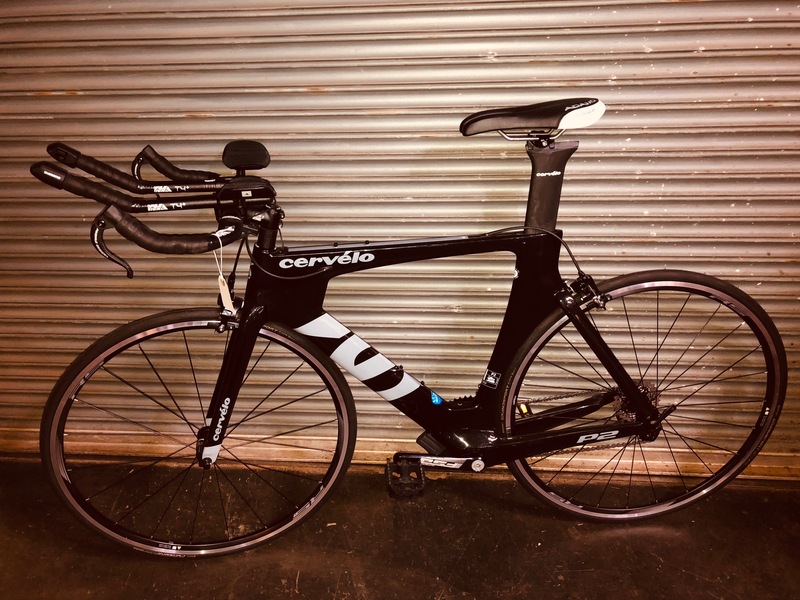 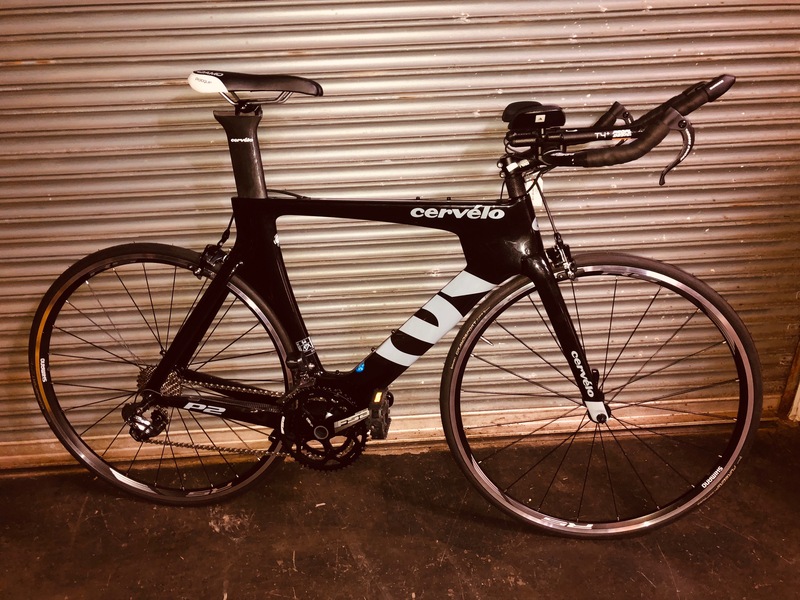 Compliant Specialized FACT carbon frame, fork, and seatpost with ZERTZ dampening inserts make for a smooth ride on any adventure.